Access to your pipeline anytime, anywhere you want. Whether you're vacationing in Mexico, or you just finished brokering a deal with a client in Hong Kong, Kinetic CRM is always there for you. 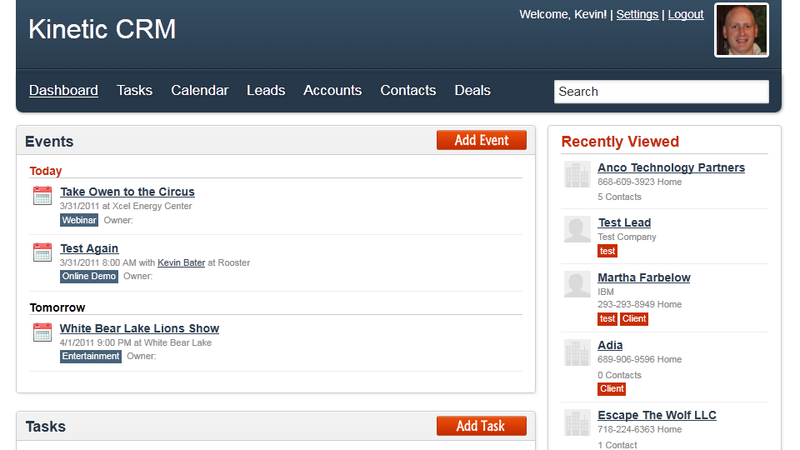 Kinetic CRM allows your entire salesforce to manage your clients with any device they choose. What can Kinetic CRM do for your business? Your software and data will be housed in the largest, most secure data centers in the world. We love our awesome customers! We are building software for YOU and we are adding customer suggested features to our products every day. You have the ability to customize the application and tailor the fields, process to your business needs. Sorry! An error occured signing you up.